When I was 8 years old, I traveled with my family to Przysietnica, Poland, to spend the summer with relatives. My grandparents’ farm was the home base for my adventures with cousins and siblings. We spent hours in the breezy northern hills, picking the sweetest strawberries I ever had. They grew wild and tasted like candy. We often brought some back to share with the family, but there is nothing quite like a strawberry fresh off the plant. First described by the ancient Romans, strawberries were first cultivated in gardens in the 1300s. 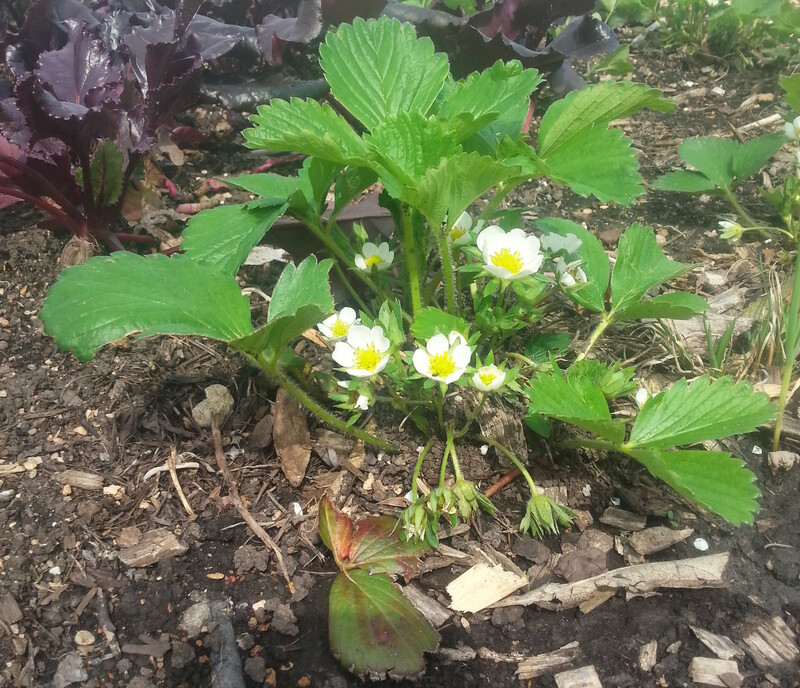 The garden strawberry is the strawberry we most often think of when we think of strawberries. This is the strawberry from the clear plastic boxes you find at the grocery store. This strawberry is Fragaria × ananassa, which has only been around for about 260 years, and has undergone a lot of breeding in that time. Fragaria × ananassa is actually a cross of the Chilean and Virginia (or wild) strawberry, which arrived in Europe in 1712 and 1624, respectively. The hybrid plant was discovered in the 1750s and recorded in 1759 by Philip Miller, a famous English horticulturist. He referred to it as the “pine strawberry” for its taste, which was similar to pineapple. If you’re taken aback by this assessment of flavor, you’re not alone—the modern garden strawberry has undergone a great deal of breeding, which improved firmness but did little for its taste. Some of the modern breeding programs are working to fix this problem. Fragaria × ananassa is not the only cultivated strawberry on the market. There are more than 20 species of strawberries worldwide, with only a small portion of those being grown in gardens for eating. Some of the popular species include the musk strawberry (F. moschata), the alpine strawberry (F. vesca), the Chilean strawberry (F. chiloensis), the Virginia strawberry (F. virginiana), Fragaria nipponica, and Fragaria viridis. Most of these strawberries originate in Europe (Fragaria nipponica is Japanese in origin); the Chilean and Virginia strawberries are the only cultivated New World species. While there are many edible strawberries, these tend to be the most popular. 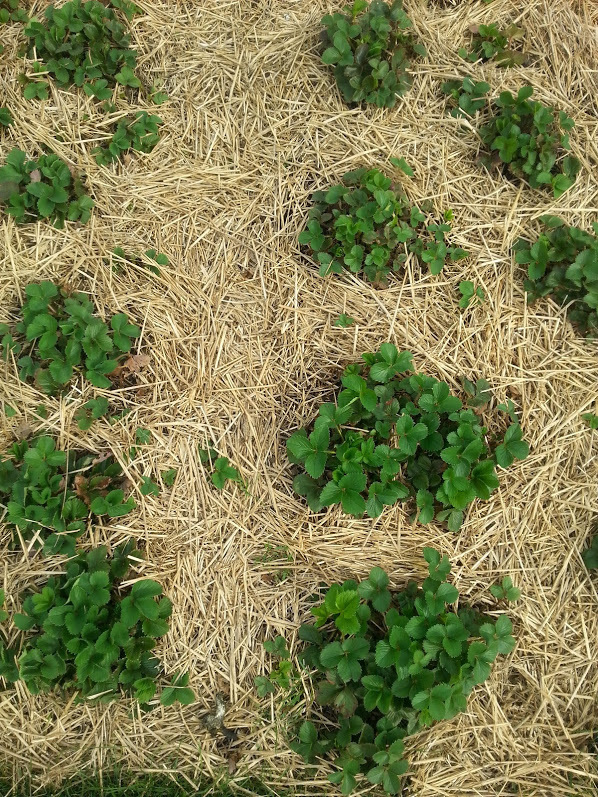 Strawberries planted in rows and left to their own devices will spread wildly within a few years. Do you know how the strawberry got its name? The popular theory is that strawberries are so named because they are cultivated on straw. The truth is, strawberries were named before straw was ever cultivated. Have you ever seen strawberries growing? They spread by stolons, or above-ground roots. These stolons reach out, find a good moist spot away from the parent, and put out roots, producing a new clone of the mother plant. In this way, a single cultivar of strawberry can reproduce itself dozens of times and still be identical or nearly identical to the mother plant. The stolons that give rise to new strawberries are called “runners.” This habit of growing is what gave it its name; strawberries tend to be strewn (spread) about. It’s generally accepted that strawberries will either produce runners or flowers. Though sometimes producing both simultaneously, the energy is usually dedicated to one task over the other. This is why there are three main types of garden strawberries: ever-bearing, day-neutral, and June-bearing. Strawberries tend to be June-bearing by nature, which means you’ll harvest your fruit in late spring to early summer. Though you sometimes end up with a second crop in fall, the June-bearing strawberry will produce runners for the rest of the year. Ever-bearing strawberries prefer to put their energy toward making fruit, so you’ll end up with few runners and strawberries several times per season. Day-neutral will produce strawberries continually throughout the year, and create the fewest runners. Did you know that a strawberry isn’t a fruit? It’s an “aggregate of achenes on a swollen receptacle.” Achenes are those little specks on the surface of the strawberry; these are the true fruit of the strawberry. The achenes break apart much the way that sunflower seeds do. An aggregate refers to a cluster or grouping, and the receptacle is the part of a flower that bears the sexual organs. Seems complicated? 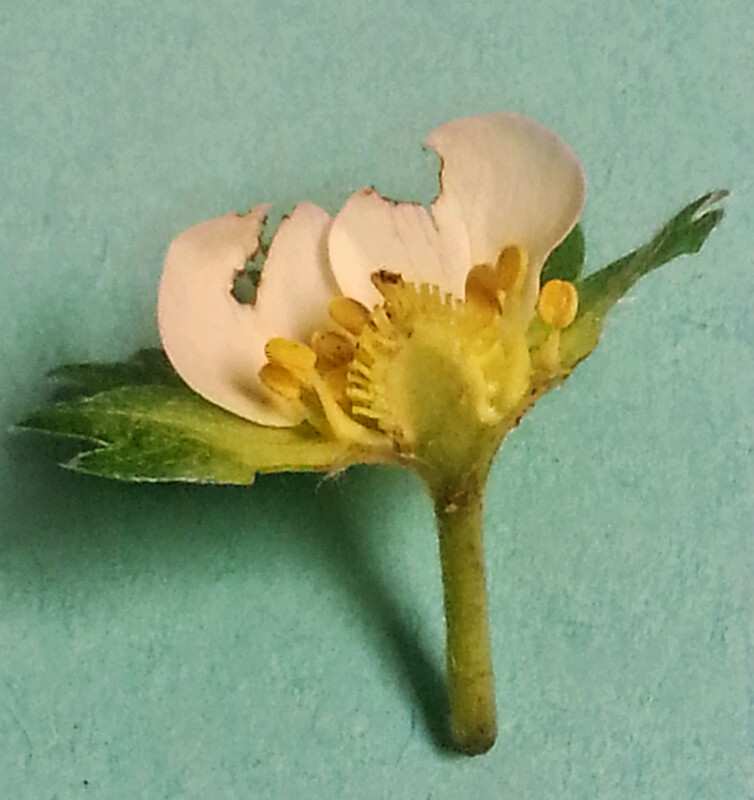 Try this: cut a strawberry flower in half and look inside. The female parts of the flower (pistils) are near the top center of the flower with the male parts (stamens) forming a ring around the outside. When the flowers are pollinated, the area under each pistil swells and turns red. When the whole flower is pollinated, you end up with a perfectly red strawberry. Time lapse of a strawberry, flower-to-fruit, by Tomas ‘Frooxius’ Mariancik. Humans have known about strawberries for hundreds of years, but strawberries only became commercially common within the past century, thanks to refrigerated trucks and breeding programs that gave strawberries their firmness. Ever since, they have been one of the top ten favorite “fruits” in the United States.